For the second EPUB Summit, we asked speakers from Europe, Canada and the US to prepare new talks and food-for-thoughts. What is the vision that guides us in the development of e-libraries? What are the main challenges we face and decisions required for achieving this vision? Based on the pretnumerique.ca experience, Clément Laberge invites us to a re-think about innovation. Entrepreneur in the fields of education, culture and technology for more than twenty years, Clément has participated in the development of the largest e-book distribution platforms in Quebec, France, Italy and Spain. He also played an important role in the development of pretnumerique.ca, a platform used by the majority of Quebec public libraries. After co-founding two companies, he was director of digital development for Éditis, then vice-president and general manager for De Marque, and is now an independent consultant. The Royal Library of Belgium ensures the preservation of the Belgian edition through legal deposit. Is the EPUB format suitable for the preservation of digital publications? Will the evolution of publishing standards guarantee long-term quality conservation? These are today the challenges that the Royal Library of Belgium wishes to share with the different actors and promoters of EPUB..
Sophie Vandepontseele is currently Director of the Contemporary Collections of the Royal Library of Belgium. One of the objectives of the operational Direction “Contemporary Collections” is to develop and guarantee the access to contemporary collections including the legal deposit. After having worked as the Head of the “Archives and Documentation” department of the War Victims Directorate General of the FPS Social Security where she developed several projects in the field of heritage digitisation and document management, Sophie Vandepontseele joined the ‘NoVo’ project management team (PMO) of the FPS Social Security where she was responsible for managing the problem of paper archives in the framework of the relocation of the FPS in a paperless environment. In the spirit of the ‘NoVo’ culture change, she also took over the management of the Library of the FPS Social Security with as the main objective its transformation into a powerful tool that meets the needs of its users. Sophie Vandepontseele’s specialties are information and document management, including the development of heritage digitisation projects, records management and analysis of user needs. Readium open-source software is the best companion of EPUB, it’s reference reading engine. Now that publishing and web experts work together on a future PWP standard, what will be the role of Readium in this new situation? Readium LCP is now ready for launch, and e-lending libraries are ready to use it. What are the features of this new DRM? 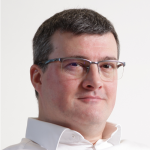 Laurent Le Meur is the CTO of EDRLab and spends most of his time working on establishing EDRLab a strong player in the European EPUB ecosystem. As a software engineer, he has played with media and technologies for the last 30 years; first at the Agence France Presse (news), then AlloCiné (movies and TV series), UniversCiné (VoD) and now in the publishing industry (books … and more). In a user-centered perspective, an accessible digital book is a book that the handicaped readers will read effectively. The compliance of the EPUB file is a prerequisite, but not sufficient: it is the whole user experience that is to be considered. To see more clearly, let us focus on the current reading practices of disabled audiences. 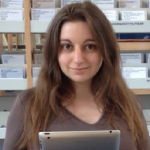 Graduated in librarian field, Laurette Uzan works in accessible digital publishing. In 2012, she joined the association Valentin Haüy, in the service of dissemination of adapted books for disabled audiences prevented from reading, the Mediatheque Valentin Haüy. She is in charge of the physical distribution (development of a network of access points in public libraries) and of digital diffusion (digital platform Éole). 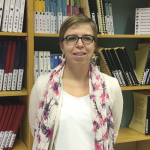 She is in charge of the partnership policy at the national level, and participates in international cooperation actions (Médiathèque Valentin Haüy collaborates with the Accessible Book Consortium, Daisy Consortium, EDRLab, IFLA and Bookshare). Paul Belfanti is Vice President of Production, Manufacturing & Content Architecture for Ascend Learning and has held a variety of creative, production, and technology roles in a career spanning over 20 years. In 2009 he established the first team within Pearson fully focused on content standards development and deployment, which he led until 2016. 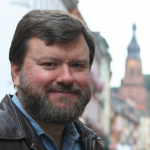 Paul is a member of the IDPF Board of Directors and was program co-chair of the first EDUPUB Workshop in October 2013. He remains active in the EDUPUB Alliance. He was chair of the BISG EDUPUB (aka EPUB for Education) work group that published “Getting Started with EDUPUB” in 2015. French publishers mobilize for native accessibility. This year, the group took up the subject of the natively accessible publishing to explore all aspects: reading experience, regulation, production, reporting. Graduate from the Arts et Métiers engineering university, Luc Audrain has forged a deep knowledge of publishing technologies, working as a technical manager in several major French publishing houses. Working for the Hachette Livre group for 16 years, now as Innovation Department expert, he is in charge of technological surveillance and supports publishing teams in their digital transition. A member of the IDPF and W3C working groups, Luc Audrain contributes to the evolution of the EPUB standard and as part of several French and international book supply chain standardization organizations, participates in defining metadata specifications, particularly within EDItEUR for ONIX. Since 2014, he is leading the Normes & Standards working group in the Digital Committee of the French publishers association. Many markets are seeing great growth in their audiobook sales. The Norwegian market is a mature audiobook market, with widespread adoption of downloadable audiobooks. Get insights into sales development, usage patterns, sales models and what Bokbasen considers the biggest challenges ahead. 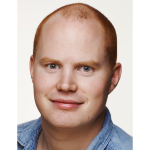 Magnus Rudolfsen is the Product Manager of Distribution in Bokbasen AS, the main Norwegian ebook distributor. Magnus started out as an entrepreneur in the e-learning and technology industry, before moving into ebooks. 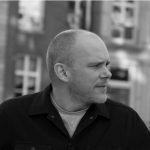 He has been an important contributor in setting up the Norwegian book cloud across independent ebook retailers since 2008, as well as developing new solutions and business areas for e-content in the Nordic market. Alexandre Lemaire runs the Digital Cell of the Public Reading Service at the Fédération Wallonie-Bruxelles. In this context, in March 2015, he launched the Lirtuel digital lending platform, thus making the Belgian public reading network the first major library network to enter the PNB project. He is also currently managing a digital warehouse project that will release ebooks free of rights. 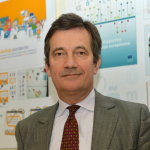 He is vice-president of Réseau Carel (and animator of the Digital Books Group), an association that promotes the development of digital resources in libraries and negotiates conditions for libraries in Switzerland, Belgium and France. 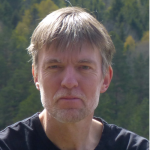 Réseau Carel is a member of Readium and EDRlab and therefore encourages the development of the epub as well as the DRM LCP . Digital publishing as an EU communication tool: EPUB and beyond. The Publications Office of the European Union was an enthusiastic pioneer of publishing in the EPUB format and one of the early institutional publishers. the OP invested in a set-up that would reconcile accessibility and discoverability in order to improve efficient and effective communication with citizens. Harolds Celms is director of the “Official Journals and Publications Production” directorate” at the Publications Office of the European Union. Prior to his arrival at the Publications Office (from 2003 to 2010), he was responsible for trade and investment promotion in the Latvian Embassy in Paris as Economic Affairs Attaché, representing the Investment and Development Agency of Latvia. 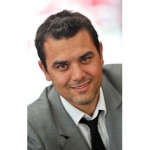 He previously worked extensively in Europe and the United States in the IT and management consulting sectors. He has a Master in Business Administration from Harvard Business School. EPUB is also corporate, the OECD’s Public Affairs and Communications Directorate. 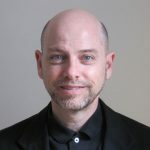 Toby Green is COO of the OECD’s Public Affairs and Communications Directorate and leads the OECD’s publishing and impact evaluation and monitoring programmes. His career in scholarly and public policy communications began with Academic Press in the early 1980s and then, after stints with Pergamon Press and Elsevier, joined the OECD in 1998 with the brief to modernise its publishing operation. He is an innovative digital publisher having pioneered the use of email to create one of the first alerting services in 1994 and created OECD’s knowledge platform, OECD iLibrary, comprising books, journals and datasets, in 2000. In 2004, he launched OECD’s StatLink service, and, in 2012, shifted OECD Publishing’s business model to Freemium Open Access. In 2014, he created the iLibrary Partnership programme which now has five members including the United Nations and the World Trade Organisation. In 2017, he took over responsibility for the OECD’s media monitoring and impact evaluation work. 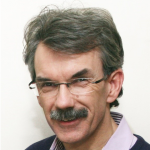 A regular speaker at industry events, he is a past Chair of the Association of Learned and Professional Society Publishers (ALPSP) and is currently a member of the Royal Society of Chemistry’s Publishing Board. Transcriber for nearly 30 years, Nathalie Danjou is now responsible for the transcription service at the Braille League since 2001. She takes care of the multiple adapted supports (audio, enlarged and braille). Michèle Dubois joined the Ligue Braillein 2002. She has been in charge of the Braille League Library since 2013. She made the new technologies accessible to the visually impaired in the Library. Michèle has contributed to the development of an accessible digital public space and the development of an online library that allows consultation and downloading. Bill Kasdorf is VP and Principal Consultant of Apex Content Solutions. Past President of SSP, he is a recipient of SSP’s Distinguished Service Award, the IDEAlliance/DEER Luminaire Award, and the BISG Industry Champion Award. Bill serves on the Steering Committee of the W3C Publishing Business Group and the W3C’s EPUB 3 Community Group and Digital Publishing Interest Group; the International Press Telecommunications Council; is Chair of the BISG Content Structure Committee; and is an active member of ABC, the Accessible Books Consortium; the EDUPUB Alliance; the IDEAlliance Tech Council; and the SSP Organizational Collaboration Committee. 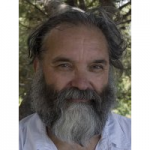 Bill has spoken at many industry events, such as SSP, STM, AAUP, DBW, O’Reilly TOC, NISO, BISG, IDPF, IPTC, Seybold Seminars, and the Library of Congress. 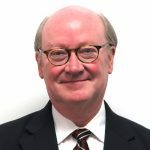 In his consulting practice, Bill has served publishers such as Pearson, Wolters Kluwer, Kaplan, Sage, Harvard, Toronto, Taylor & Francis, Cambridge, ASME, and IEEE, and organizations such as the World Bank, the British Library, OCLC, and the European Union. The IDPF and the work that has been done to advance a publication standard known as “EPUB” has recently combined with the W3C to form a new “Publishing@W3C” vertical focus. There are many new ways for publishers, authors, vendors, companies, retailers and others to get involved and participate in the advancement of standards relative to the broader world of publishing. Come hear more about the combination and what opportunities it brings. Liisa McCloy-Kelley works to create innovative new ebook products and drive new reading functionality across the ebook marketplace. She co-leads a corporate team of developers, designers and producers who are responsible for all of the ebooks of Penguin Random House US divisions as well as many of their client publishers. She leads technical discussions and coordination between the various international ebook teams across PRH. She has worked at PRH for more than 26 years and has dedicated the last decade to advancing ebook development in support of authors and their expanding needs for how to best express their stories in digital format. 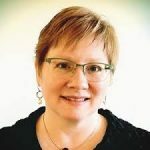 She has worked on a variety of ebook standards with numerous organizations most recently as a board member of the former IDPF and now serving on the Publishing@W3C Publishing Business Group Steering Committee. Ivan joined the W3C team as Head of Offices in January 2001. He served as Head of Offices until June 2006, then as the Semantic Web Activity Lead until December 2013 and then, finally, as the Publishing@W3C Technical Lead. 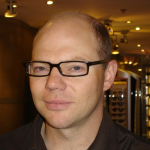 He is currently a W3C Fellow for CWI, member of the W3C Strategy as well as the Technical & Architecture teams as focusing on Digital Publishing and (in the T&A team) on of Web of Data related activities. Ivan graduated as mathematician at the Eötvös Loránd University of Budapest, Hungary, in 1979. After a brief scholarship at the Université Paris VI he joined the Hungarian research institute in computer science (SZTAKI) where he worked for 6 years. He left Hungary in 1986 and, after a few years in industry, he joined the Centre for Mathematics and Computer Sciences (CWI) in Amsterdam where he has held a tenure position since 1988. He received a PhD degree in Computer Science in 1990 at the Leiden University, in the Netherlands. A roadmap to accessibility The WIPO ABC Charter promotes the production of e-books and digital publications in accessible formats for persons who are blind, visually impaired or otherwise print disabled. Which are the requirements and how can an organization makes its digital publications accessible? The presentation will describe the step-by-step actions to implement to be compliant with the charter requirements. 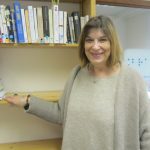 Cristina Mussinelli is the Secretary General of the LIA Foundation, a non-profit organization, aiming to engage in activities to promote books and reading for visual impaired people through education, information, awareness and research in this area. She works in publishing sector since 1982 and since 1992 she has been involved in the digital and multimedia market. 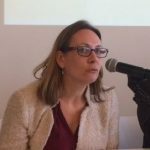 Since 1988 she has been responsible for the technological innovation and digital publishing areas within the Italian Publishers Association (AIE). 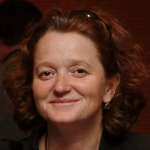 She is member of the W3C Publishing Steering Committee and Board Member of EDRLab (European Digital Reading Lab). Avneesh Singh, Chief Operating Officer, DAISY Consortium. 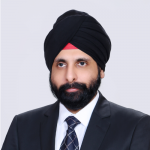 Mr. Singh heads strategy and operations in DAISY Consortium. He has more than 10 years of experience in development of technologies for accessible publishing & reading, and is a key driver of the development of the world wide inclusive publishing eco system. He is an alumni of Harvard ExecEd and Indian Institute of Management, has earned Executive MBA and Bachelors degree in computer engineering. He is a strategic leader as well as a reputed accessibility expert. He co-led the accessibility group in the EPUB 3.1 working group that pioneered development of dedicated accessibility specification for EPUB publications, co-chairs the Accessibility Baseline Project for developing the worldwide infrastructure for ensuring accessibility from the publishers, through to the users, and co-chairs the transition to EPUB 3 working group for migrating the DAISY member organizations & the readers of accessible content to EPUB 3 eco system. 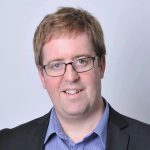 In addition to leading industry wide projects, he heads DAISY Consortium technical developments and leads the development of the technology for advance accessibility features and optimizing content for print disabled readers. Rick Johnson is the Vice President of Product Strategy, and one of the founders of VitalSource Technologies, Inc. Now a division of the Ingram Content Group, VitalSource is the maker of Bookshelf®, the most widely used platform for delivery of electronic textbooks in the world. As VP of Product, Rick manages the strategic direction of the fast growing platform, guiding the architecture, and implementation of its clients and systems. Rick’s career has been focused on bringing together his three passions: technology, publishing, and education. He is a frequent speaker on electronic textbooks, their integration into an institutional environment, and how the accessibility needs of individual students can best be accommodated in their delivery. He has served on multiple committees addressing the needs around delivering accessible content to students, was a member of the working groups responsible for version 2 and version 3 of the EPUB standard, currently serves on the board of directors for IMSGlobal and the IDPF, and is the co-inventor of 3 domestic and international patents dealing with electronic books and their distribution. Per Sennels has been working as a Technical Project Manager at NLB since 2012. In addition to project management, Per is interested in, and involved in, various aspects of distribution of talking books, and especially if XML and XML related technologies are parts of the solution. Before his engagement with NLB, Per had a similar occupation at Statped, where he was heavily involved in the development of a system for generating a wide range of distribution formats from single source XML files. insideOne, a new concept ! A Braille Pc tablet running Windows for blind people. Established in 2014, insidevision have know-how to create, manufacture and distribute Braille devices. insidevision create the insideOne, a tablet with an integrated Braille display and Braille keyboard. Thanks to Windows power, it’s the first dedicated blind device also accessible to sighted people. Jean Laurens is a specialist in visually impaired AT, and more precisely in Braille device. With more than 20 years of experience in this field, he has participate in the creation of more than 6 generation of Braille devices. First he has been sales man and became sales manager for eurobraille, and then for insidevision. Now he is devoted to the insideOne promotion for private individuals, firms, associations, school world, and visually impaired dealers. 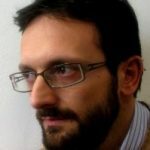 Entrepreneur in the fields of publishing and education, Nicola Cavalli (Phd) is senior member of the New Media Lab at University of Milano Bicocca. He authored several books and articles on publishing and digital technologies and currently is responsible for new business and content acquisition for MLOL (medialibraryonline). 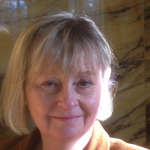 Anne holds a Master in Medieval History for Brussels University (ULB) and Postgraduates on copyright law from Brussels University and King’s College London. After a short stint at public relations and advertising, she has joined the Federation of European Publishers where she is Director since 2004. She is a member of the Belgian chapter of ALAI, the international copyright association. Her favourite hobby, when she does not represent publishers on the European scene, is reading books. As the Chief Commercial & Content Officer at Bookchoice (until February Elly’s Choice) with offices in London and Amsterdam – a curated digital book boutique offering 8 ebooks and audiobooks per month for an affordable flat rate; all skillfully curated in-house to attract readers – Nathan manages the company’s international expansion with a focus on the platform’s content and commercial partnership deals. Previously, Nathan was Chief Business Development Officer at Mofibo, Scandinavia’s leading eBook subscription model, prior to its acquisition. Most notably Nathan was Penguin Random House’s Digital Product Director, with strategic responsibility for its digital portfolio and innovation strategy working closely with the likes of Stephen Fry, Jamie Oliver and Roald Dahl’s estate. 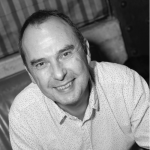 Prior to publishing, Nathan managed international bands and was Universal Music’s senior digital marketing manager executing the original deals and partnerships with the likes of Spotify, Sky and Playstation for acts ranging from the Rolling Stones to U2. 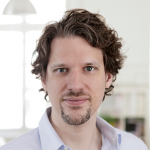 Jens Klingelhöfer (CEO) founded Bookwire in 2009 together with John Ruhrmann. Prior to the founding of Bookwire, he was a media manager in the music industry for over 10 years and was involved in many major and successful projects in music and entertainment. As an entrepreneur and marketing expert in the creative sector, he has a wealth of experience in designing and implementing creative and administrative processes and in developing and adapting new and ground-breaking business models – from manufacturing to marketing to sales. At the early days of his career, he was an art director for media products, so that by creating Bookwire, he returned to his initial industry. Françoise Dubruille joined EIBF in 2001. She has a strong multi-cultural and Public Affairs background and has been responsible for the organisation of several conferences, studies and projects in her international career. She has an extensive experience of lobbying at EU level. Before working for EIBF, she was involved in European projects in the field of local and regional development. She holds degrees in applied economics, in translation and a MA in societal studies. A French native speaker, she is fluent in English and Italian and has a reasonable level of Spanish. David is CEO at TEA The Ebook Alternative. Graduated of INSA and EM Lyon, David is an entrepreneur and business manager specialising in digital and new technologies. From 2009 to 2013 he was founder and CEO at CommonIT a startup developing softwares for web browsers security (acquired in 2013 by Oodrive). Previously David was Marketing director at Arkoon, the French leading company in Cybersecurity (acquired by Airbus EADS group in 2013). Fernando PINTO da SILVA has more than 15 years of experience in the field of assistive technologies. He created and managed the Evaluation and Research Centre for Blind and Visual impaired people (CERTAM). Technical project manager in charge of the digital book production for the Valentin Haüy library (AVH), he cofounded the DAISY France group. 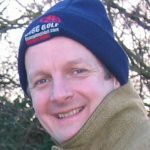 He joined EDRLab in 2016 to promote accessibility good practices in the Epub ecosystem. 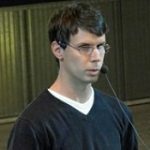 Alex Bernier is the Director of BrailleNet, a French non-profit organization which works on e-accessibility. He is a computer engineer of the National Institute of Applied Sciences (INSA) in Rennes. He works on projects related to e-accessibility, on various topics including the accessibility of websites, books, digital libraries, scientific documents, etc. 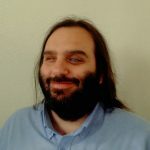 He is a member of the international programme committee of the International Conference on Computers Helping People with Special Needs (ICCHP) and participates in several working groups of the W3C. He is responsible for the Accessible Francophone Digital Library (BNFA), a service which provides the most important catalogue of accessible books for visually impaired people in France and Switzerland.